Rick was born in Cleveland and started playing guitar at age 11. He joined his first band at age 16 and by his late teens was playing shows with the band Starliner at Case Western Reserve University, Cleveland State and Bowling Green State University campuses, and at legendary venues like the Chagrin Armory. Rick went on to play all over Northwest Ohio and Southeastern MI. Upon graduation from college, he moved to Toledo, OH to work at as a graphic designer but kept active in music. Rick formed The Exception in 1981 and played over 250 shows a year for the next 5 years. One of his original songs with the band was selected for Toledo’s Best Rock compilation in 1982 and received extensive local radio airplay. 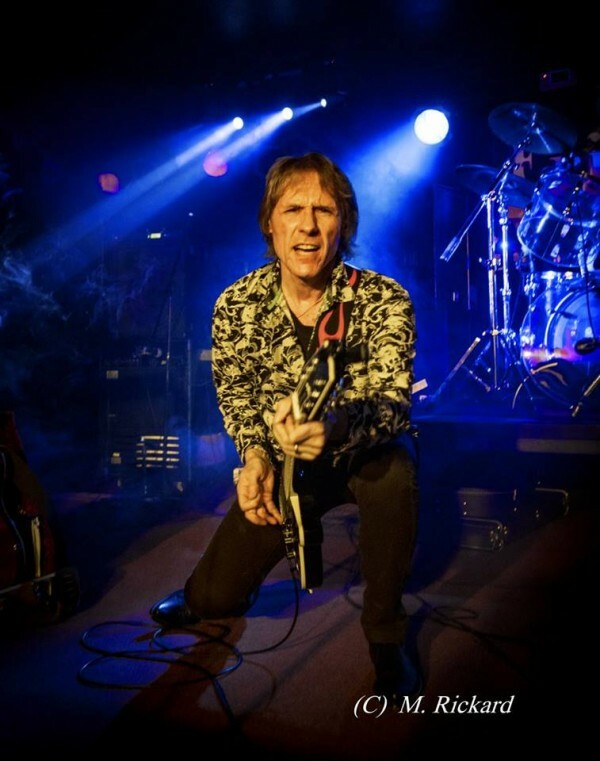 While touring Ohio, Michigan, Indiana, Iowa and Minnesota, Rick shared the stages with the Association, Jonah Koslin of Michael Stanley Band, Mitch Ryder, Meatloaf, The Guess Who, the Romantics, Spencer Davis, the Fixx, Loverboy and many more. Rick left the road to further his graphic design career but still kept his hands on the guitar gigging in local groups. In 2006, he was a finalist in Toledo Guitar Center’s King of the Blues contest. Are you possibly the Rick Zeithaml who studied drawing with me at Bowling Green University around 1975-6? I still recall this person’s absolutely amazing drawings and wondered what he went on to do in his life. Let me know if you are the artist I remember.